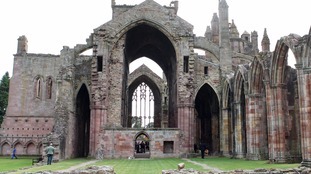 Melrose Abbey has been named in Historic Scotland's top ten most visited paid for attractions. The abbey pulled in nearly 26,000 visitors between June and August this year putting it in tenth place in the top 10 list. Edinburgh Castle topped the chart with more than 650,000 visits. “This record-breaking year for visits to Historic Scotland properties demonstrates the value, significance and growing appeal of Scotland’s heritage to visitors. “From Orkney to the Borders, Scotland’s history and heritage filled landscapes are a truly unique resource, not just in terms of the wider benefits that they offer for all in terms of cultural enrichment – providing an insight into different aspects of our nation’s past, but also for their role and potential in supporting and driving economic growth." “Scott left a huge global cultural and literary legacy and we’re delighted that the newly transformed Abbotsford is rekindling an interest in this great man. "While we have always believed in the potential of Abbotsford and Sir Walter Scott to attract visitors to the region, these visitor figures have surpassed even our expectations and it’s heartening to see people from so many different countries, including the emerging markets of India and China, being drawn to this special place. Almost 25,000 people have visited Sir Walter Scott's former home in the Scottish Borders since it re-opened at the start of July. Her Majesty The Queen opened Abottsford House following a £12 million restoration project lasting five years. An additional 21,000 visited the gardens and Visitor Centre in the months leading up to the re-opening, which amounts to around 46,000 visitors for the year so far. The majority of the visitors were from Scotland and England, but people came from as far afield as India and China. A new visitor survey carried out by the town's Chamber of Trade, has revealed that the majority of visitors love what Cockermouth has to offer. Questionnaires for visitors to complete were handed out in shops, galleries, eateries and accommodation providers. A new visitor survey carried out by the town's Chamber of Trade, has revealed that the majority of visitors love what Cockermouth have to offer. More than 300 people responded, with almost 85% saying they would definitely visit again. Almost 100% of people said the range of places to eat and drink was very good or good. Around 70% said they had visited Cockermouth's independent shops, closely followed by its tea and coffee shops. The last survey was carried out in 2006, but many changes have taking place since the town was left devastated by the 2009 floods. The Chamber of Trade decided that new information was needed about the town's visitors.